A couple weeks ago I walked out on my deck and saw a little bird lying there motionless. I rubbed him until he came around and flew off. 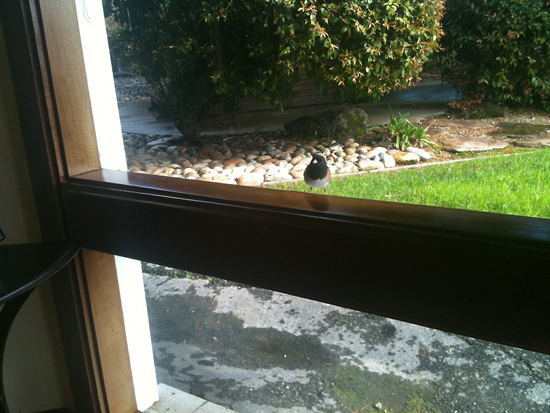 Well, he has come back everyday for a week now pecking on my living room window:-) God is good.